We've decided to have a little fun with the political taglines of the day. And just like politics, we have an agenda and we want your support. We're not going to ask you to choose between red and blue. We can love all of the colors - as in rich brown soil, bright yellow squash, glossy aubergine eggplants, chartreuse green tomato plants, deep orange pumpkins, creamy white cauliflower, golden peppers, soft pink roses and buttery yellow sunflowers. 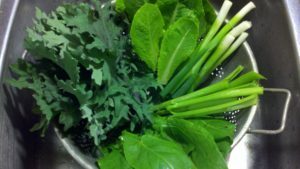 We love growing clean food. We love growing flowers that are safe for our pollinators. And we love doing all of this in a garden that we know is safe for our family, our pets, and the wildlife that visits there. Our agenda is to get everyone united working to #MakeAmericaOrganicAgain!! America has a rich organic heritage that goes back thousands of years to the ancient pueblos of the Southwest and reaches forward in time to the beginnings of commercial agriculture in the New World. 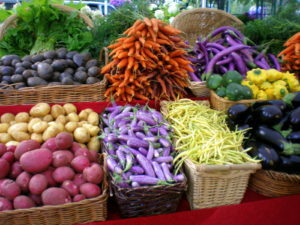 Our ancestors produced food crops, fiber crops, dye plants and medicinal herbs using only what we now call organics. They employed minerals, manure, wood ash, charcoal, gypsum, bone, and blood. They recycled crop waste and animal waste back to the soil. They utilized cultural techniques like the Three Sisters plantings of corn, beans, and squash, and practiced crop rotation schemes. It worked beautifully for over 10,000 years. Then came the industrial age and the population began to shift from the farm to the city. There were more mouths to feed with less labor to feed them. The necessity arose to find a less labor intensive way to provide nutrients required to produce crops. Synthetic nitrogen fertilizers appeared in the first decade of the 1900's. By the end of World War 2, America had become dependent on synthetic fertilizers in commercial agriculture. We also saw agriculture change. Mono-cropping grew rapidly, livestock feeding practices changed, and farming itself became increasingly mechanized. Synthetics also made their way into suburbia as an inexpensive way to maintain the perfect rectangle of weed-free, pest-free, emerald green lawn. It seemed like a golden age, and in terms of growth and technical advancement it certainly was. Diverting the physical and intellectual resources of the nation from agriculture to industrialization and technology enabled many of the advancements and creature comforts we enjoy today. But there has been a cost. We are seeing the toll that the shift in agricultural and horticultural practices has taken on human health, livestock health, and the environment. It's time to examine those practices and make the necessary changes to remedy the damage done. There are those who claim that the damage is permanent and cannot be reversed. I understand the reasons for their pessimism, I just don't share it. The earth has an amazing capacity to heal! I have seen it myself as damaged soil is brought back to life, as polluted water is restored to health. We can't make those changes at every level at once. It would be nice, but it just doesn't work that way. Activism is important, but our activism cannot afford to be violent, strident, or accusatory - those behaviors are contradictory to the nature of our cause. We are asking people to be kind to the earth, kind to the plants that feed us, kind to the environment in which we raise our families. So we have to lead with kindness. We can lead by teaching. We can lead by spreading the word. We can lead by inviting others to join us, and by showing them how. We can lead by spending our dollars with those who share our philosophy. We can lead by raising our children in such a manner that organic living is second nature to them - that they know no other way. We can lead by creating a vast network of like-minded consumers, businesses, and producers. The organic movement has been growing steadily for decades, and we celebrate that. But we would like to reach people who may not realize how much these practices affect their lives. We would also like to use one more way to make our voices heard by the legislators who continually favor the deep pockets of the chemical giants over the health and safety of the people. We are inviting everyone to join us by using the hashtag #MakeAmericaOrganicAgain. Use it in your social media - blogs, posts, tweets. Use it in emails, in advertising, wear it, say it, live it, do it, teach it, preach it! We have seen so many silly things go viral. Isn't it worth it to try to take something this important as far as we can? Edit 02/15/17 - Like all good ideas that float out there on the ether, it seems that this hashtag is out there in at least one place already. We found it at http://sarasorganiceats.com/make-America-organic-again/. Good for Sara! It doesn't seem to have taken off for her, but maybe if more of us use it, we can see a difference. We would love to see a business use it to print some caps or shirts. I think we have to add another season with a new name to the Gulf Coast gardening vernacular – “Un-Winter”. It seems that is what the winter of 2015-2016 is turning out to be. We can’t say they didn’t warn us. The weather pros predicted the largest and most influential El Nino in recent history. While they are often ridiculed for getting it wrong, they got it right this time. We were advised to anticipate a wetter and warmer winter than usual, and we got it. I have ripening plums on one low chill plum tree this day, February 11. I have thumb to golf ball sized plums on another. Everything is blooming. I have seen this before, so it is not that unusual a sign on its own. You can fool a fruit tree with anything unseasonable – drought, unexpected cold dips or hot spikes. It is the other signs nature is sending that have me more alert. I have been seeing Crane Flies, sometimes mistakenly called “mosquito hawks”, for over two weeks. These have long been considered a sign of spring. In fact the Old Farmer’s Almanac once referred to them as a sign that “spring is fast approaching”. Today, a neighbor saw the first snake of the season. Snakes are not usually out this early. By itself, I wouldn’t think that much of it, but added to the other signs, it matters. And lastly, drones are starting to populate the hives. Drones are driven out before the onset of winter. They have no hive duties and are just an extra mouth to feed. Nature is tough. Drones reappear in spring, when the hive is ready to expand and the swarming season approaches when they are needed to mate with new queens. Taken together, and added to the forecast of balmy days and mild nights, it sure sounds like we are getting a message. As a long time Gulf Coast gardener, I am usually pretty cautious. I have experienced those March frosts and un-predicted Ninja freezes that sneak up on us in the night. But I am also a watcher of nature signs, and Nature seems to be saying that even Un-Winter is coming to an end. Nurseries are filling with plants. Tomato growers are already planting out. It just feels like it is time. I’ll keep the frost cloth ready in the shed, but I’m ready to go. I’m also wondering what this may mean for summer, but we’ll visit that later. Other than the temperature, what signs of early spring have you seen?? Bees are still in the news. We are continuing to lose too many hives to Colony Collapse Disorder (CCD). CCD has had a whole host of theories attached to it since the term was coined. Some of them seem a bit outrageous, such as an “Aids-like” bee virus. Some seem more plausible, like common agricultural pesticides. Scientists are still working on the problem, but it will be some time before conclusions can be made with any accuracy. 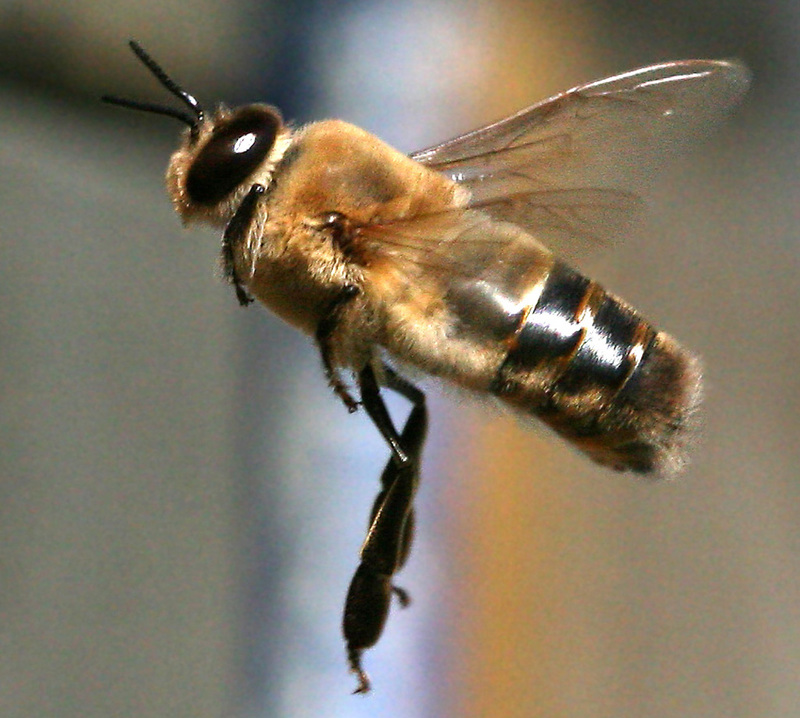 While the exact cause of CCD may still be a mystery, bee die-offs are a certain reality. Commercial beekeepers report 30% – 70% hive losses annually. Massive bumblebee die-offs have been reported in Oregon and Canada. It’s pretty much undeniable that there is a strong link to neonicotinoids. This class of pesticides, known by product names such as Imidacloprid and Clothianidin, kills insects by attacking their nervous systems. Neonics are often applied to the seed before planting, and are taken up through the plant’s vascular system as it grows, ending up in the nectar and pollen, where they are collected, taken to the hive, fed to young bees and stored in the hive cells. There is legislation pending (HR 2692) that may severely restrict the use of neonics. It was assigned to the Subcommittee on Horticulture, Research, Biotechnology, and Foreign Agriculture in August 2013, where it still sits. If you want to express your support here is one link: Support HR 2692. With only 11% of bills making it out of committee, and 3% getting a vote, it does not look promising. It is not just pesticides that are of concern. Recent studies of pollen stored in beehives found 35 different pesticides along with high fungicide loads. An average of 9 pesticides and fungicides were found in individual samples, with one sample containing 21 different chemicals. It has previously been assumed that fungicides were safe for bees, however in the study, bees fed pollen contaminated with fungicides showed a significant decline in their ability to resist infection with a parasite called Nosema ceranae. 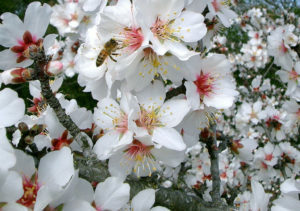 It is now believed that fungicide exposure compromises the bee’s immune system. While scientists sort the research out, individual beekeepers are focusing on bee health. Fewer beekeepers are using chemical hive treatments, opting instead for essential oils, mineral supplements, and pest traps that do not use pesticides. If supplemental feeding is required, natural sugars are preferred over the HFCS used by large commercial apiaries. An entire movement of organic beekeeping has been renewed using practices that concentrate more on hive health and colony dynamics and less on pounds of production. Gardeners have responded by showing an interest in planting bee-friendly gardens. They are planting masses of nectar and pollen producing plants, and using organic products in their gardens. It all sounds so promising, but….. It turns out that a commonly used, OMRI approved product is quite harmful to the bees. Spinosad was approved by the EPA in 1997. It was granted USDA National Organic Program status in 2003. Spinosad recently hit the economic news when a Chinese scientist was sentenced to 7 years in prison for stealing research on Spinosad from Dow Agroscience and Cargill. Derived from a naturally occurring soil bacterium, Spinosad was quickly accepted by the organic farming community as an alternative to synthetic pesticides. It is found in sprays, drenches, and ant baits, as well as a popular oral flea treatment for dogs and cats. It is approved for use on vegetables, fruits, and ornamentals. Spinosad is reported to be non-toxic to mammals for both oral and dermal exposure, non-toxic to birds for oral exposure, and only slightly toxic to fish, oysters, and aquatic invertebrates. However, it is highly toxic to bees – more so in its liquid form and less so once the product has dried. Spinosad is most effective when it is ingested, but it will kill on contact as well. The length of effectiveness is less specific. Some articles report it to last as long as four weeks after application, and others say it is 5 – 7 days. I hope they find a solution to CCD soon. In the meantime, everything we can do to provide safe habitat will help. Hobby beekeeping is experiencing a resurgence with both homestead and urban beekeeping growing every season. Public education has been very effective. I write plant descriptions for catalogs and websites. A few years ago I was cautioned by one client not to mention “attracts bees”. Now those same growers are doing all they can to promote bee plants in response to their customers interests. 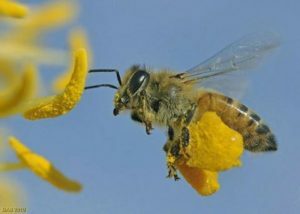 People are less afraid of being stung than they are of suddenly finding that a favored food is simply not available due to lack of pollination. What else can you do to help? Support your local beekeeper. Buy only locally produced honey and don’t quibble over a few cents. Farmer’s markets and local feed stores are a good source. Supermarket honey is packaged by large bottling companies that have been under scrutiny for blending non-honey components, including HFCS, into their product. You will get a superior product from your local beek. Ask questions. It’s perfectly acceptable to ask how they raise their bees and what their practices are regarding hive treatments and feeding. We would love to see everyone growing edibles in their gardens. We truly believe that there is room for edibles in every landscape at some level, even if it is in containers. One of our favorite things to do on our way back from feeding goats and chickens is to grab a colander and pick our salad for the evening. We don't plant lots of any one thing, so it is sort of like grazing. 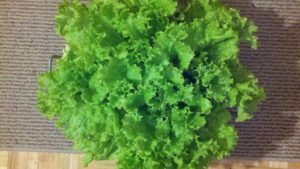 A few leaves of this or that, a handful of onions, a few herbs, and a head of whatever lettuce is ready. It can't be any fresher and we know we are safe from pesticides. It takes much less time that going to the grocers, and since I just hate to shop, it is a much nicer experience. It's our backyard market. Not everyone's cup of tea, but we wouldn't have it any other way.